Many Valley residents end up with more lemons than they know what to do with this time of year. So what can you do with all of that citrus, besides put a wedge in your iced tea? Well, plenty if you’re Chef Kody Harris of Ahwatukee’s fresh Greek and Mediterranean fast-casual concept, Fresko. Chef Kody is 100% Greek and knows you can use those lemons in just about any dish. From drinks to entrees to dessert, Fresko never leaves a lemon unsqueezed. Fresko’s menu includes fresh-squeezed lemonade made exclusively from lemon juice and sugar, lamb souvlaki skewers marinated in a concoction that includes lemon juice, a roasted lemon half-chicken, a lineup of lemon-tinged Mediterranean dips and more. Even the baklava includes lemon zest and juice! 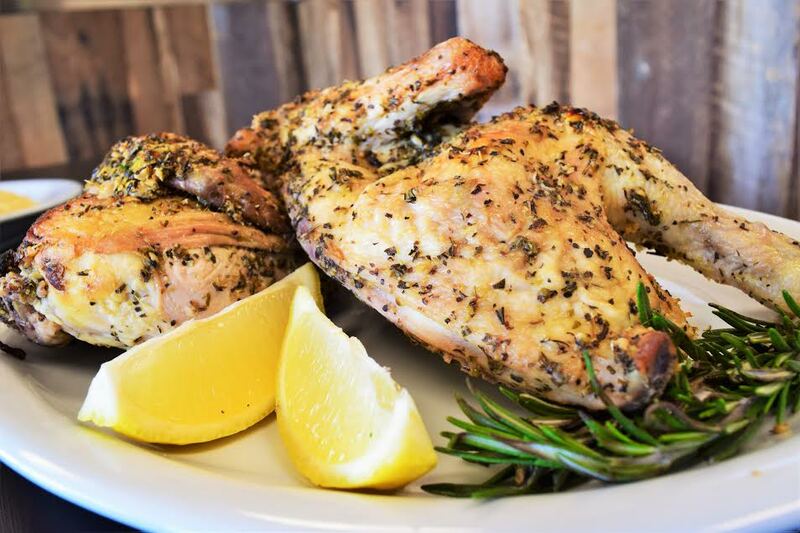 Below is Chef Kody’s recipe for Roasted Half Chicken and is a delicious way to use up some of those extra lemons! Enjoy! Place all ingredients except chicken in a bowl and mix well. Place the chickens in a large plastic container and pour marinade over chicken. Place in refrigerator and let marinade overnight. When ready to cook, place a wire rack on a sheet pan and preheat the oven to 375 degrees. Place marinated chickens on wire rack and cook chicken in oven for 1 ½ hours. Remove chickens from oven and let cool about 10 minutes before serving. This recipe is geared more towards a party setting but can be cut into thirds of home cooking.